This is for a Medieval Fierce Dragon Statue Sculpture Wings Spread from Shopatusm. 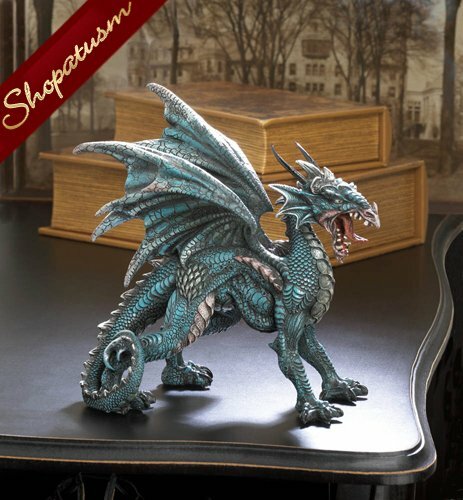 Add some fierce style to your bookshelf or desk with this fantastical dragon statue. This finely detailed beast stands on all four with wings spread, and is captured mid-roar. Item weight: 0.8 lb. 8" x 4 1/2" x 7 1/4" high. Polyresin.